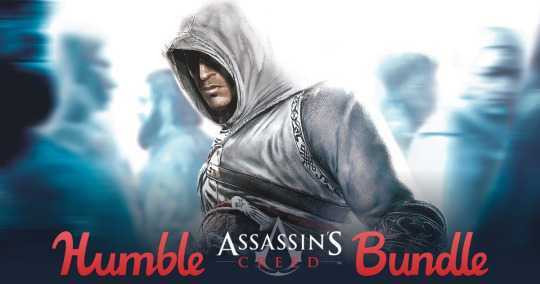 Assassin’s Creed Humble Bundle is now available for $15 and it is supposed to get you all the games in the series. But, it doesn’t that makes it hard to fully recommend the sale. The Winter Sale 2016 season was rife with discounts on every gaming platform, be it PS4, Xbox One or Steam and Origin on PC. Assassin’s Creed games received hefty discounts all the time and you could have probably brought them all or at least the ones you like for $15. The newly announced Humble Bundle which will be open for 6 more days is not the comprehensive collection it should have been. Instead, for the entry level $1 you get the Assassin’s Creed Chronicle India, China and Russia along with the original game featuring Altair. While it is an okay purchase for the meager sum, it still doesn’t count as the actual bundle because the side scrolling games aren’t the complete experience. You are better off playing them on a PS Vita if you own the console or go the bigger bundle. Ubisoft seems to be having a great sale as the average Humble Bundle price is already at $7.29 at the time of writing and is expected to go higher. If you manage to beat the price tag, you can get all the games mentioned above along with Liberation HD, Assassin’s Creed II, III along with Tyranny of King Washington The Infamy DLC. Ubisoft as part of their Ubi30 free giveaways recently gave ACIII as a free game and most people got it without having to pay a penny. If you are one among them, this again doesn’t make much sense. The top tier $15 bundle seems to be the most sensible decision to make if you haven’t already emptied your wallets during Steam Winter Sale 2017. The games included are Assassin’s Creed Unity and Brotherhood. There is no sign of Rogue, Revelations, Black Flag or Syndicate. A whole lot of best games in the series is missing. If it is supposed to be a cool Assassin’s Creed Humble Bundle, the team should have at least included all older games if not Syndicate. By any chance, if you have never got any of the AC games so far and love to play them, it is okay to spend $15. However, for everyone else with time to kill the $1 Assassin’s Creed Chronicles is a decent pick as it offers platform experience just like the old Prince of Persia games.